Nearly a decade after it first appeared on theater stages and was subsequently staged in more than 170 cities worldwide, the film adaptation of the hit musical Mamma Mia! was released in movie theaters in the summer of 2008. The movie stars Meryl Streep, Julie Walters, Christine Baranski, Colin Firth, Pierce Brosnan, Stellan Skarsgård, Dominic Cooper, and Amanda Seyfried. The actors also lent their vocal talents to the soundtrack of the movie musical which had already wowed audiences worldwide. 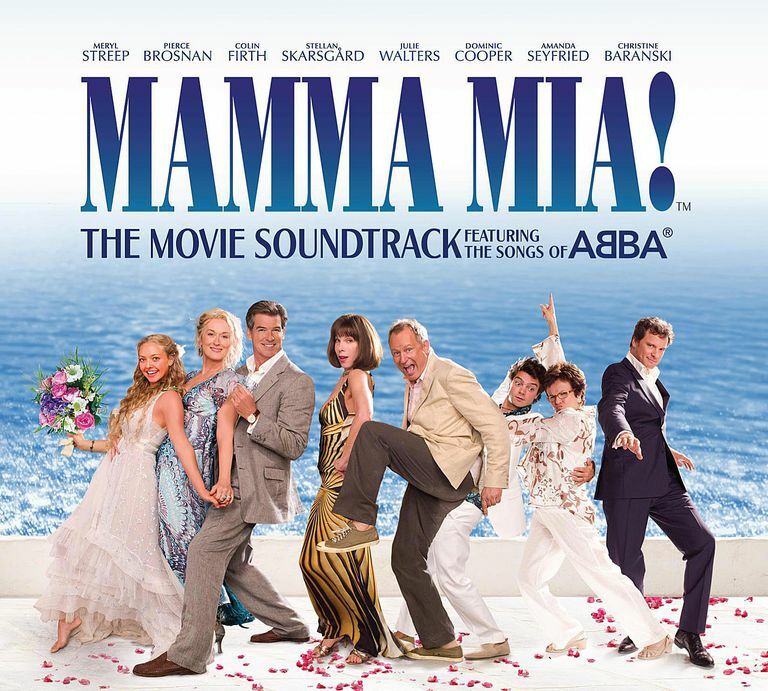 The soundtrack of the movie, which was released in July 2008, features the catchy tunes originally recorded by ABBA including "Dancing Queen" and "SOS" as performed by the actors. The Heartfelt Music of Mamma Mia! Mamma Mia! is about Sophie, a bride (Amanda Seyfried) who finds out from her mother's diary that her father could be one of three men -- Sam Carmichael (Pierce Brosnan), Bill Anderson (Stellan Skarsgård), or Harry Bright (Colin Firth). As is tradition, she wants to be given away by her father at her wedding and invites all three to the wedding in the hopes that her mother (Meryl Streep) will be able to discern who the father is. The resulting joyful and comical proceedings with the three potential fathers lead to both Sophie and Donna being completely unsure of whom the father really is and is told through ABBA's chart-topping music. There's little surprise why the stage musical -- and later movie -- was such a hit with audiences worldwide. The Mamma Mia! movie soundtrack has been a major success, peaking at #1 on the U.S. Billboard 200 chart and was certified platinum. It also topped the U.S. Billboard Top Soundtracks Chart. It also hit #1 in nearly two dozen other countries, including Australia, Sweden, Ireland, Austria, Greece, Spain, Norway, Poland, and Canada. Over 5 million copies have been sold worldwide, far outperforming the original London cast recording of the stage musical. The movie itself is the highest-grossing non-animated musical of all time, grossing $609.8 million worldwide, which means both the Mamma Mia! film and movie soundtrack can be considered huge successes for the cast. The album was nominated for the Grammy Award for Best Compilation Soundtrack Album for Motion Picture, Television or Other Visual Media. Original ABBA member Benny Andersson not only produced the film, but he also played piano and keyboards on the album (both Andersson and fellow ABBA member Björn Ulvaeus have cameo appearances in the film). Rutger Gunnarsson, who played bass and bouzouki on some of ABBA's original hits, also contributed to the soundtrack. In November 2008, the Deluxe Edition of the soundtrack album was released. The Deluxe Edition of Mamma Mia! The Movie Soundtrack includes a DVD that details the making of the album and a music video for the song "Gimme! Gimme! Gimme! (A Man After Midnight)."